THE USDA REPORTS SEEING AN IMMEDIATE 50% REDUCTION IN THE USE OF PAPER TOWELS IN RESTROOMS WHERE HIGH SPEED, ENERGY EFFICIENT HAND DRYERS ARE ALSO BEING USED. Once every two weeks, janitors at the United States Department of Agriculture (USDA) break open a new pallet of paper towels to fill dispensers in well over 100 bathrooms throughout the USDA complex in Washington DC. 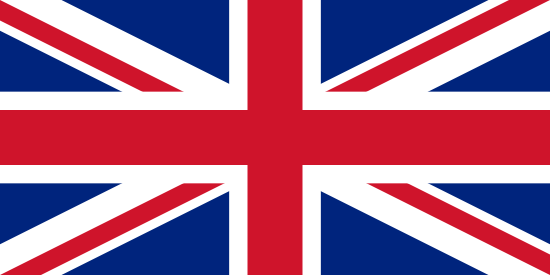 That’s at least two tons of paper a month – more than 24 tons a year. It’s no wonder that waste reduction is the USDA’s highest priority, when it comes to going green. 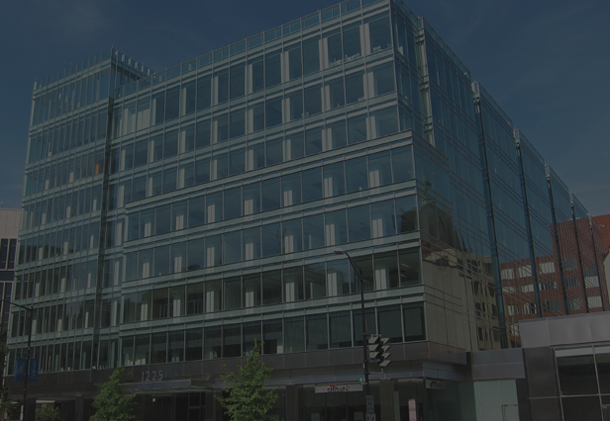 As the largest building on the National Mall and “the seat of Department leadership,” USDA officials want their headquarters to be “a model facility for others wishing to implement waste reduction and waste minimization programs,” according to the agency’s Waste Minimization Plan. In what looks like the famous food pyramid, the USDA’s Green Team uses a triangular Solid Waste Management Hierarchy and Source Reduction and Reuse at the “most preferred” peak of the pyramid. The “least preferred” method is dumping trash into landfills because that contaminates groundwater and pollutes the air by producing methane gas. 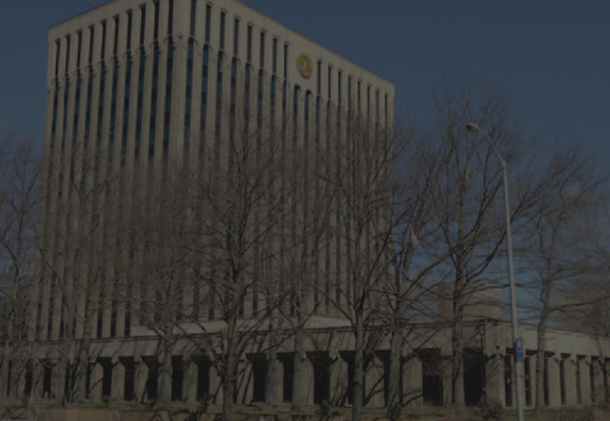 The USDA also tries to avoid sending its trash out to be burned because incineration pollutes the air with harmful gases such as nitrogen oxides and sulfur dioxide along with trace amounts of toxic mercury compounds. The USDA took a major step toward eliminating waste by installing some two dozen XLERATOR® high-speed, energy-efficient hand dryers in its restrooms, giving people a choice between paper and hand dryers. Over time the agency plans to install hand dryers in more restrooms throughout the facility. The USDA reports seeing an immediate 50% reduction in the use of paper towels in restrooms where energy-efficient hand dryers are also being used. This is eliminating two tons of paper towel waste in 2011 alone. 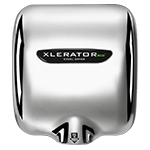 XLERATOR uses 80% less energy than traditional hand dryers and delivers a 95% cost savings versus paper towels, while creating a more hygienic restroom environment. 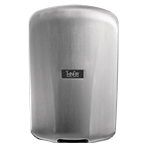 It is the only hand dryer to be MADE IN USA Certified, the first hand dryer to be GreenSpec® Listed and helps facilities qualify for multiple LEED® (Leadership in Energy and Environmental Design) credits by the U.S. Green Building Council. A peer reviewed ISO 14040 Life Cycle Assessment of XLERATOR confirmed it reduces the carbon footprint of hand drying by 50-70% when compared to traditional hand dryers and paper towels. 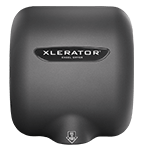 XLERATOR is now also available with a full line of accessories featuring the new HEPA Filtration System with a washable pre-filter for reliable performance and a longer life span, antimicrobial wall guards and the XChanger® paper towel dispenser retrofit kit. For more information, visit exceldryer.com/greenapple. The USDA has targeted the biggest contributors to its waste stream, and high on the list is janitorial services and the extraordinary costs of supplying restrooms with paper towels; in fact, paper towels cost more than any other restroom supply or product. 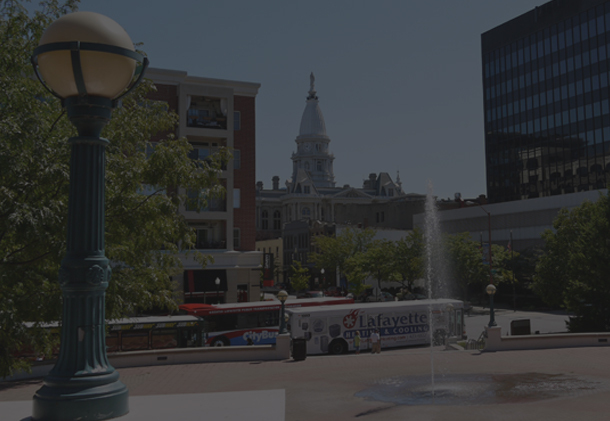 The USDA purchases janitorial services through an outside vendor; therefore, officials want to achieve the greatest efficiency possible from this service. By dramatically reducing paper towel waste, janitors are now concentrating on tasks more critical than simply taking out the trash; janitors are now more focused and efficient because they are hauling away much less paper towel trash. OVERALL, THE USDA HAS REDUCED TRASH PICKUPS AT THE COMPLEX FROM FIVE TO FOUR PER WEEK. 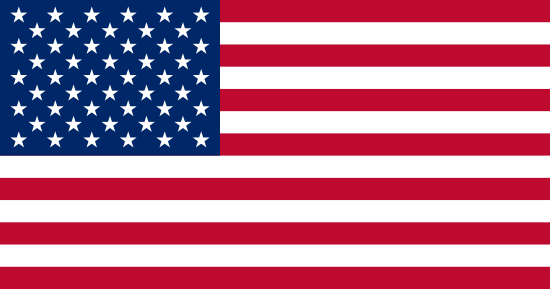 The USDA is responding to President Obama’s Executive Order 13514, a presidential call for all federal agencies to help create a clean energy economy, to lead by example, increase energy efficiency and reduce waste. The department is well on its way to reducing its environmental footprint and achieving the president’s lofty and important goals. 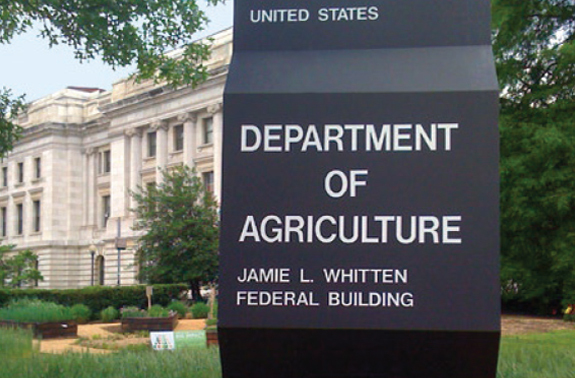 Removing paper towels and rolling out high-speed hand dryers remains a growing part of the agriculture department’s overall waste reduction program. 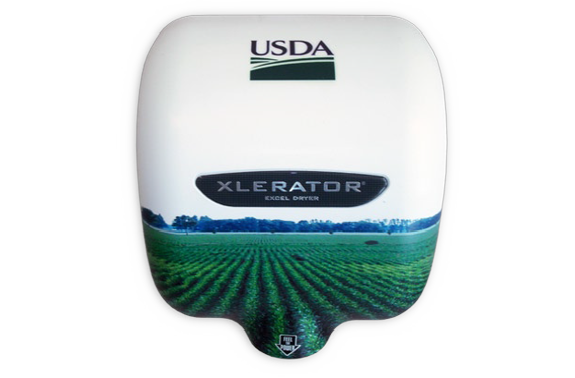 Officials plan to continue installing XLERATOR hand dryers throughout USDA headquarters as they move ever closer to paper-free restrooms. THE USDA HAS TARGETED THE BIGGEST CONTRIBUTORS TO ITS WASTE STREAM, AND HIGH ON THE LIST ARE PAPER TOWELS WHICH COST MORE THAN ANY OTHER RESTROOM SUPPLY.